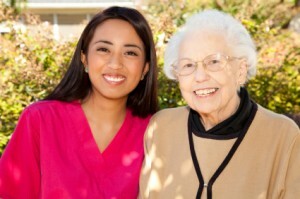 Unfamiliar with Seeking a Caregiver? 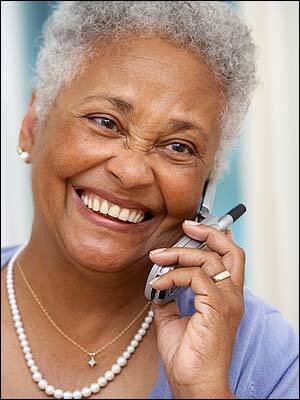 Looking for In-Home Senior Care Help? Here is the simple six step process from the time you pick up the telephone until a caregiver comes through your door. We support you throughout the process! Step #1 – Call Traycee Home Care anytime between 8:30 a.m. to 4:30 p.m. Monday through Friday, or Saturday from 9:30 a.m. to 1:30 p.m. to make your initial inquiry. If you are calling after normal business hours, call (847) 432-5190 and then press 9 for immediate assistance. You will receive a call back typically within 15 minutes. Step #2 – You will be asked for your name and phone number in case of disconnection. Describe the situation. Specifically, is the help for yourself or a loved one? Where is the individual that is in need of assistance currently residing (home, hospital, rehabilitation center, etc.)? Has the individual been caring for him/herself, or has a family member or friend been assisting? Or, is another agency involved in their care? What are the specific needs? How many hours are needed per day, number of days in the week, for roughly what duration and when should assistance begin? Are any other professionals currently involved in the care such as a visiting nurse, physical therapist, dietician, occupational therapist, etc.? If another agency is currently involved, what would they like to see happen differently when Traycee Home Care is engaged? What are the qualities of a “perfect” caregiver relative to the situation under discussion? Are there any medical issues Traycee needs to be aware of (diabetes, Alzheimer’s, etc)? If there any other information you care to share (any personal preferences, are you still active in the community, etc.)? Step #4 – You will be told very briefly about Traycee Home Care including these highlights: Traycee is a local, family-owned business with over 40 years of experience. It is licensed by the State of Illinois. All caregivers, some of whom are Certified Nursing Assistants (CNAs), are employees of Traycee, many of whom have been with Traycee on staff for over a decade. They all receive rigorous training under the supervision of our Registered Nurse Care Coordinators. Traycee is proud of its longevity in the home care industry which is based on its “person-centered” philosophy. Step #5 – To learn more about how Traycee can be your best solution to meet your home care needs, we will offer within 24 – 48 hours based on your schedule, an in-person, onsite complimentary assessment, with one of our Care Coordinators. The assessment will take approximately 1-2 hours, and involves the client and any family members who wish to participate. Its objective is to assess the physical and emotional needs of the client as well as the needs of any involved family members. Step #6 – After this assessment occurs, a caregiver is handpicked suited to the personality and needs of the client. Our Care Coordinator will personally introduce the caregiver to the client and/or client’s family on the start date. Our Registered Nurse Care Coordinator will also have developed a comprehensive, customized Plan of Care specific to the client. This plan will be reviewed and if necessary changed at least every 90 days. Our Registered Nurse Care Coordinator will then supervise the caregiver for the duration of the engagement and will continually assess the client to see if the client’s needs change. The Management Team at Traycee is available to the caregiver and client 24/7. You are never without support!